Your vision is sort of like your tooth enamel, once it is damaged it is nearly impossible to fix or restore. Because of this, it is incredible important to take all necessary precautions to preserve your vision at all costs. Don’t look at bright lights, avoid reading in dim lighting, and most relevantly, do not overly strain your eyes while looking at a computer or other electric device. Nowadays, everything is online. Banking, shopping, even socializing are all now integrated into the digital age. For many of us, our careers and word are based almost solely on a laptop or home computer, and we spend hours a day staring at a computer screen. While staring at a computer or other screen all day, it is common to have a variety of visual side effects. These can include eye strain, vision that is blurry, and blood shot eyes. These are all warning signs that you have Computer Vision Syndrome (CVS). CVS can come from your eyes having difficulty remaining focused on the the monitor for long periods of time. It can also be related to loss in general focus ability. If you have any of these symptoms or experience changes in vision, it is important to see a doctor. Beside from that, you may also want to invest in computer glasses. 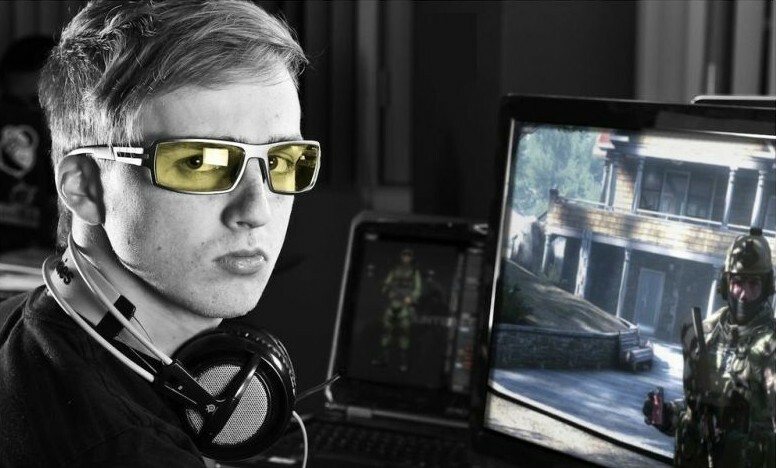 Computer-oriented glasses are essentially used to block out the blue-light that screens project, which prevents eye strain and fatigue. According to Optom Eyes Health, about 70% of American adults suffer from eye strain caused by staring at screens all day. Computer glasses can reduce this strain. They do this by adjusting your vision so that your eyes think they are focusing on something further away than your actual computer screen. This helps them to focus properly and mitigates eye strain. Because of their material, computer glasses are also able to mitigate glare from the computer screen and reduce the amount of blue light that enters your eyes. Computer glasses are great for people who already suffer from Computer Vision Syndrome, but they are also great to use preventatively. Many parents have decided to invest in computer glasses for their children in hopes of preventing future eye damage. Also, young adults with great vision who knowingly spend lots of time viewing a smart phone or computer screen should invest in these glasses before seeing damage to their eyes. This will help cut down on cost of eye care in the future and will preserve eye sight. If you spend hours a day staring at a computer screen for work or pleasure, you may be a good candidate for computer glasses. Talk to your optometrist today. These glasses come in a variety of brands, colors, shapes and styles. Your eye doctor can help you find the pair that is exactly right for you. When it comes to your vision, it’s important to never cut corners, because once it’s gone it’s gone! Invest in computer glasses today.